Amazon Web Services offers a selection of enterprise productivity applications that run as a service in the AWS Cloud. These applications for corporate email & calendaring, document collaboration, and virtual desktops make it easy to meet the usability, performance & reliability expectations of employees, while simultaneously delivering on the security and compliance requirements of the most demanding enterprise IT organizations. All of these services integrate with AWS Directory Service so that you can easily connect to your on-premises Microsoft Active Directory and allow users to access these applications using their existing credentials. All of these applications feature strong enterprise security capabilities such as multi-factor authentication, support for encryption at rest using encryption keys that you control, and the ability to set security policies for mobile devices. You can also choose the AWS region where your data is stored to ensure that your data never leaves the country you choose. You can use these services either together or separately, based on the needs of your organization. All AWS Enterprise IT applications feature simple pay-as-you-go, monthly pricing so there are no up-front payments required for server hardware or software licenses, and no long term commitments. Amazon WorkSpaces is a managed desktop computing service in the cloud. 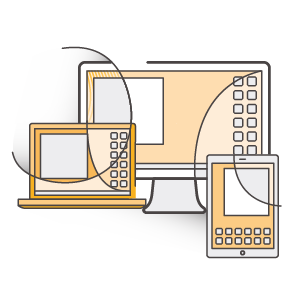 Amazon WorkSpaces allows customers to easily provision cloud-based desktops that allow end-users to access the documents, applications and resources they need with the device of their choice, including laptops, iPad, Kindle Fire, Android tablets, and zero clients. With a few clicks in the AWS Management Console, customers can provision a high-quality cloud desktop experience for any number of users at a cost that is highly competitive with traditional desktops and half the cost of most virtual desktop infrastructure (VDI) solutions. 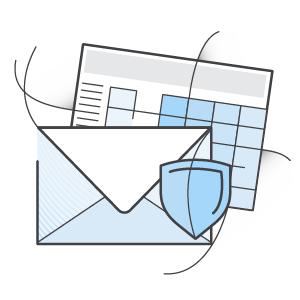 Amazon WorkMail is a secure, managed business email and calendaring service with support for existing desktop and mobile email clients. Amazon WorkMail gives users the ability to seamlessly access their email, contacts, and calendars using Microsoft Outlook, their web browser, or their native iOS and Android email applications. You can integrate Amazon WorkMail with your existing corporate directory and control both the keys that encrypt your data and the location in which your data is stored. You can get started for free with a 30-day trial of Amazon WorkMail for up to 25 users. Amazon WorkDocs is a fully managed, secure enterprise storage and sharing service with strong administrative controls and feedback capabilities that improve user productivity. Users can comment on files, send them to others for feedback, and upload new versions without having to resort to emailing multiple versions of their files as attachments. Users can take advantage of these capabilities wherever they are, using the device of their choice, including PCs, Macs, tablets and phones. Amazon WorkDocs offers IT administrators the option of integrating with existing corporate directories, flexible sharing policies, audit logs, and control of the location where data is stored. 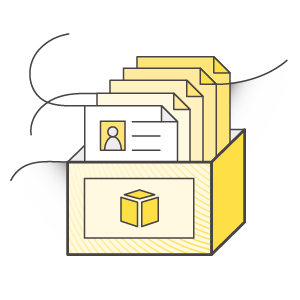 Get started using Amazon WorkDocs with a 30-day free trial providing 200 GB of storage per user for up to 50 users.